If your dentist has told you that you have gingivitis, you may be wondering what this means for the health of your mouth. Periodontal care refers to practices and treatments that focus on the gum and bone structure around your teeth. Also called gum disease, periodontal disease refers to conditions that affect these tissues. Periodontal care is essential for reducing your risk of developing periodontal disease. While biannual dental visits are advised so your dentist can keep an eye out for signs of cavities and oral cancer, they also give him a chance to catch the early stages of gum disease. If you’ve been diagnosed with gingivitis, this means that the condition is mild and limited to a small amount of your gum tissue. At this stage, your dentist will probably advise a dental cleaning followed by regular maintenance. Cleanings and improved oral hygiene habits are often sufficient for reversing gingivitis. If your gum disease was only caught after it advanced past the gingivitis stage, there are several treatments that your periodontist may recommend. Periodontal therapy typically requires several appointments, treating one area of your mouth per visit. The treatment area of your mouth is numbed for the procedure. Next, plaque, tartar, and toxins are removed from below and above your gum line, and rough spots on your teeth are smoothed. The procedure’s goal is to help your gums heal and prevent the advancement of the disease . The most important step in periodontal care is regular tooth brushing. When you brush your teeth less than twice per day, it allows bacteria in your mouth to transform into plaque and then into tartar, which sets the scene for gum disease. After being treated for periodontal disease, good oral hygiene is the key to preventing a recurrence. If you’ve been diagnosed with gum disease near Hazlet, high-quality and efficient treatment is the key to managing and reversing this condition. The skilled periodontists at Glenwood Premier Dental can help you regain the health of your gums. To schedule your appointment, call us today at (732) 264-4477. Chipped and cracked teeth can affect the appearance of your smile and your confidence in social situations. Luckily, dental bonding from your dentist offers an excellent solution for these types of tooth damage and more. Bonding involves the application of tooth-colored resin to repair a damaged tooth. Your dentist can treat discolored, misshapen, cracked, chipped, decayed, and gapped teeth with bonding. This restorative care procedure is among the simplest and most affordable available, and it provides patients with attractive and natural-looking results. To attach the bonding material, your dentist will remove a small amount of the tooth’s surface, apply a conditioning liquid, and then shape and harden the resin. In many cases, no anesthesia is required for this treatment. 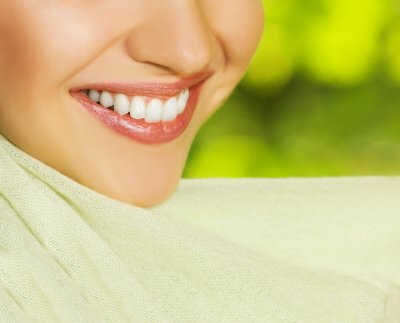 If you have a damaged tooth that affects the look of your smile or the function of your bite, then you may benefit from dental bonding restorative care in Hazlet. To schedule your free dental consultation or learn about laser dentistry, call Glenwood Premier Dental today at (732) 264-4477. Good oral hygiene and regular dentist visits are vital for keeping your teeth and gums healthy. If you have diabetes, the importance of flossing and brushing your teeth is even greater. Watch this video for oral health advice for diabetics. The state of your gums plays a critical role in your overall oral health. Gum disease, also referred to as periodontal disease, can be a serious condition that may lead to tooth decay and loss. Unfortunately, people with diabetes are at more than twice the risk for severe forms of gum disease. Diabetes puts you at a higher risk for periodontal disease, tooth decay, and other dental conditions, so regular dentist checkups are essential. To schedule your free consultation or dental exam with a dentist serving Hazlet, call Glenwood Premier Dental today at (732) 264-4477. No one likes having a toothache, and sometimes a root canal is necessary to relieve the pain. But when is it time to schedule a dental appointment for a root canal to resolve a toothache? Here are some questions you can ask to help distinguish a mild toothache from a serious infection requiring immediate dental care. When Do You Experience Pain? With a cavity, you may experience pain periodically. With severe tooth decay, however, you will likely experience a toothache for a prolonged period of time. The pain may become more severe when you eat something or pressure is applied to the area in general. If you experience intense pain whenever you eat or drink something cold or hot, then you may be in need of a root canal . The same goes if you apply a hot or cold compress to the area and experience lasting pain after the compress has been removed. What Does the Site Look Like? You will notice the infected tooth becoming darker as the infection becomes worse. Depending on how far the infection has traveled, you may have a white bump appear in the gums immediately surrounding the infected tooth. This might be the start of a gum abscess. If the area around the tooth begins swelling and becoming more tender to touch, you may be in need of a root canal. What Does Your Dentist Advise? Obviously, you should always consult your dentist when you experience any sort of toothache or gum pain. Your dentist can assess the area through a dental exam and x-rays to determine the exact location and extent of the infection. 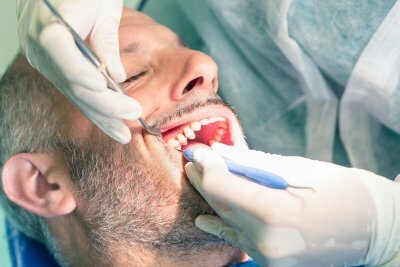 Once he has located the infection, your dentist can advise the best course of action, whether that is a root canal or a possible tooth extraction. When you need a root canal near Hazlet, you call the kind and caring professionals at Glenwood Premier Dental. We don’t want our patients to be in any kind of pain, whether it is from gum disease or a mild toothache. Call us at (732) 264-4477 or visit us online to learn more about the many services we have to offer you.